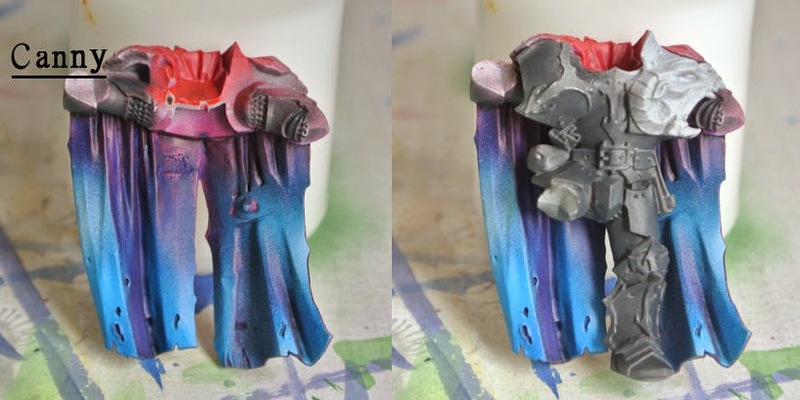 I have been quite busy getting things done before Christmas but I managed to lay down some colours on the inside of the cloak, I will put a few glazes to define the folds on the cloak. Blocked in the grey for some NMM unsure if Im going to pain the shoulder guard gold or silver. 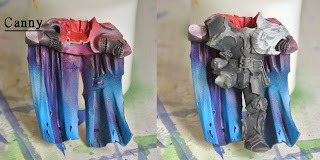 I'm a bit sad I took of the chaplains shoulder pad to paint the bolter and came back from the wedding last weekend and have tuned the desk upside down, I do know that my little girl was giving my keyboard a good mash, So its possible I have lost it or once I paint a new one it will turn up. I will have to wait and see.